move over Lean Cuisine...this is better! This summer I fell in love with a Lean Cuisine dish that was some tasty mix of beans,rice, veggies and a ‘cheese sauce’. Tasty yes, but when you look at the ingredient list there is a slough of goodies that just don’t belong in everyday cooking. So I decided to see if I could ‘one up’ my Lean Cuisine favorite by making the same thing at home and freezing it for those busy fall school days. Boy did I strike gold. I call this one “Clean Cuisine” because it has all the bennies of frozen entrees with all the goodness of organic, local and fresh foods – it’s also more cost effective per serving that the frozen stuff AND you can customize the flavors to your liking. 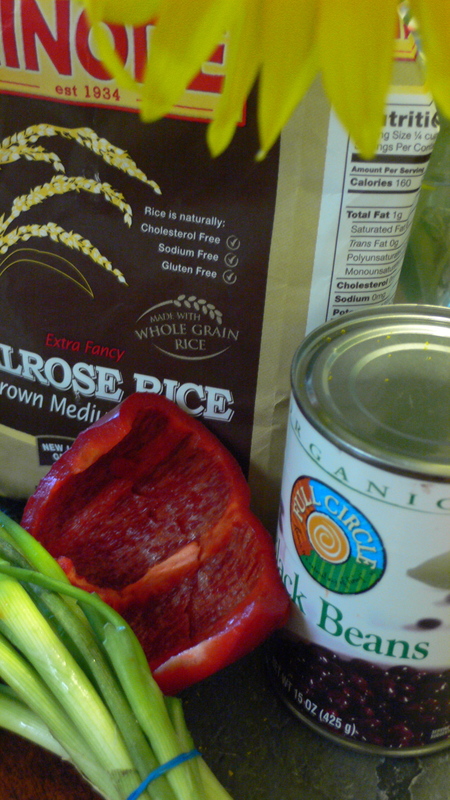 Cook 2 cups of brown rice in a rice cooker, adding 2 tsp cumin, sea salt and 2 Tbsp of tomato paste to the water. Just let it do it’s thing and in the meantime, you can prep the veggies and cheese. Grade about 4-5 oz of sharp cheddar cheese, set aside. 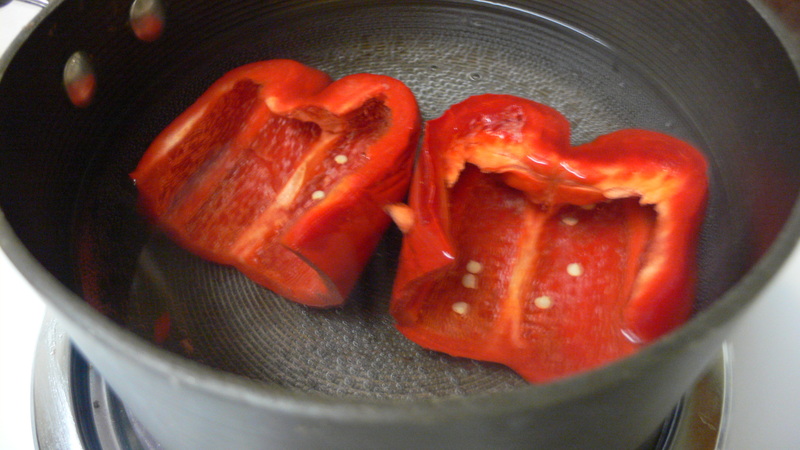 Now chop the peppers into small pieces, and dice up about 4-5 green onions. If you have any salsa (which I did) bring that along too! 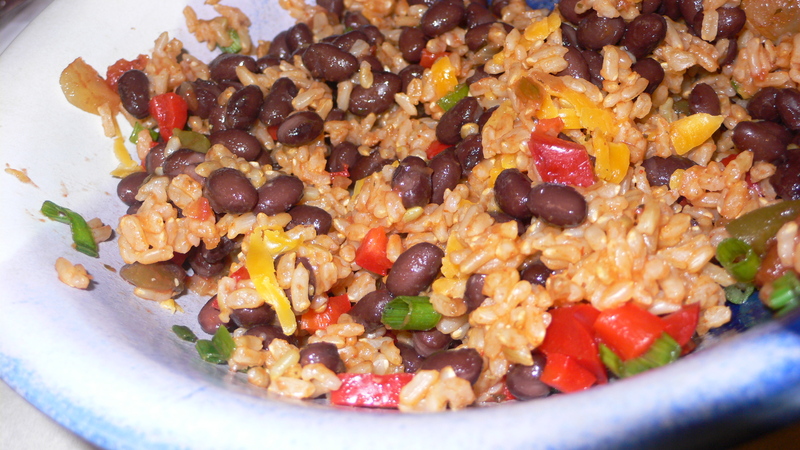 Mix about 1 cup beans and 1.5 cups of rice in a large bowl. Add 1/2 the peppers, onions, cheese and about 2 tbsp salsa. Mix thoroughly. Separate into two plastic, freezer safe containers. Close and label. 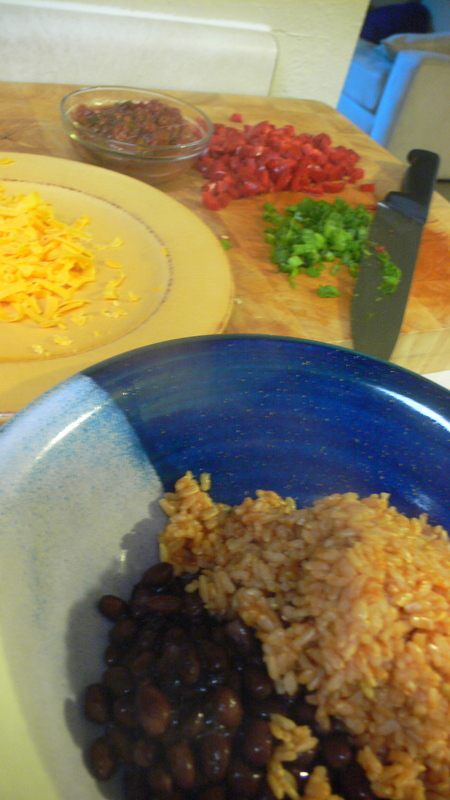 Repeat with the rest of the rice and beans. You’ll have some left over rice if you started with 2 cups dry rice – perfect for tonight’s dinner.